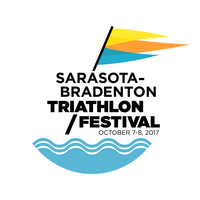 USA Triathlon has now SOLD OUT the Sarasota Bradenton Triathlon Festival Non-Draft Open race, to be held on October 8, and registration is officially closed. However, we are creating a wait list for those athletes who are still interested in racing. Athletes who would like to sign-up for the wait list should register here. Athletes are moved off of the waitlist and to a confirmed spot when a registered athlete cancels. Waitlist athletes will move off the waitlist in chronological order.